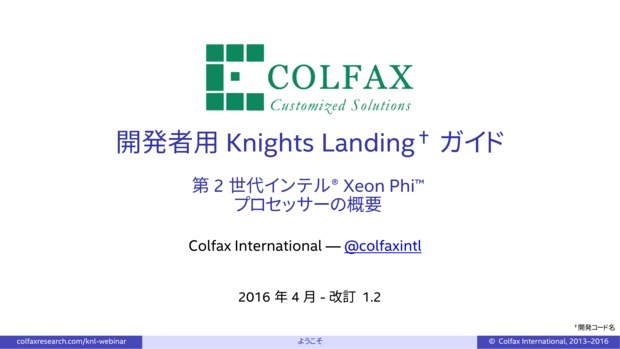 With the help of our partners at XLsoft, the slide deck for the webinar “Introduction to Next-Generation Intel® Xeon Phi™ Processor: Developer’s Guide to Knights Landing” has been translated to the Japanese language. Download here: JP-Colfax-Programmers-Guide-to-KNL.pdf (5 MB) — this file is available only to registered users. Register or Log In.